Increasing sustainability is not only vital to the livelihood of today’s cattle industry but for the next generations that will follow as well. As beef producers, we have always strived to raise our cattle with environmental stewardship, animal care and the next generation top of mind, but now, more than ever, ensuring that the marketplace and our consumer understand and remain confident in the safe, high-quality world-class beef that we sustainably raise, is crucial. The care and commitment in the way that we have raised our beef remains, but the standards and verification behind what we do is evolving to meet the needs and demand of consumers. With this evolution comes opportunity – the opportunity for advancement on the farm and for our industry. Consumers are driving the demand for food that is raised sustainably. Some of the world’s largest food processors like Cargill and the world’s biggest retailer of food, McDonald’s, are introducing sustainability as the cornerstone to their business mandates and the food that they sell to consumers. In 2017, Cargill introduced the Canadian Beef Sustainability Acceleration Pilot, a program designed to test systems that can show consumers the exact path of their beef, from ranch to restaurant. As a result, more than 1 million pounds of beef were produced from certified sustainable sources in Q3 of 2018. 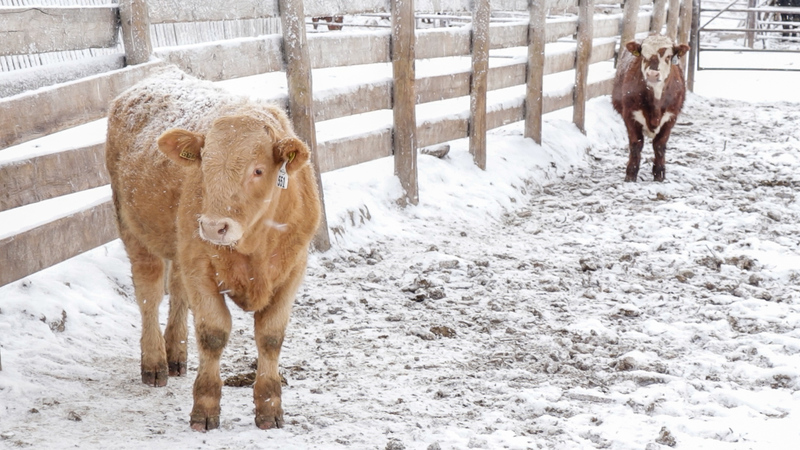 The McDonald’s Sustainable Beef Pilot that engaged Canadian beef producers across Western Canada is now influencing the development of sustainable beef production not only in Canada but also across the globe. The food retail giant is now purchasing beef from verified sustainable sources. The VBP+ program is a unified support tool to help support this evolution, connecting beef production in Canada to the broader conversation surrounding sustainability today. It supports registered cow-calf producers like you, through individual operation verification, proving that you abide by the highest standards for food safety, animal care, land management and conservation, and biosecurity when raising your cattle. Audited under a third-party audit process, VBP+ defines expected outcomes for practices and associated records as proof of the actions. The program supports producers with tools that support food safety, as well as provide deeper insights into the importance of withdrawal times, proper injection and following product label and dosing. As global demand for protein grows, so too does consumer desire for beef produced in a sustainable manner. For those of us in beef production, that means a supply chain that is socially responsible, environmentally sound and economically viable. Being a registered VBP+ Producer in good standing will allow you to make the claim of Sustainably Raised Beef – supporting consumer demand for sustainable choices and opening market capabilities for your operation like those introduced by Cargill and McDonald’s and those that are sure to follow. At Beefbooster, we’re doing our part to make sure that everyone has access to sustainable breeding genetics and we support initiatives like VBP+ that help to further increase sustainability in food production. We encourage you to participate in VBP+ program to ensure that our beef industry remains vibrant and sustainable for today, tomorrow and into the future.